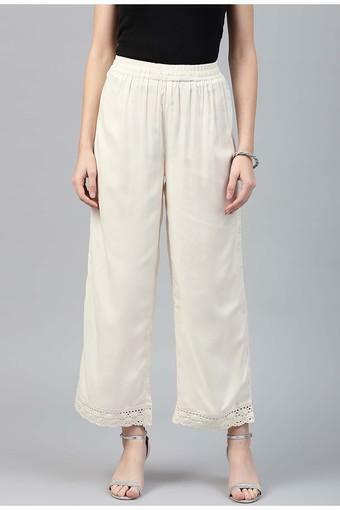 Soft and comfortable with this pair of palazzos from Juniper. It comes with solid along with perfect fit that lends it a distinct appeal. Moreover, it is made from rayon fabric which is comfortable to wear all day long.